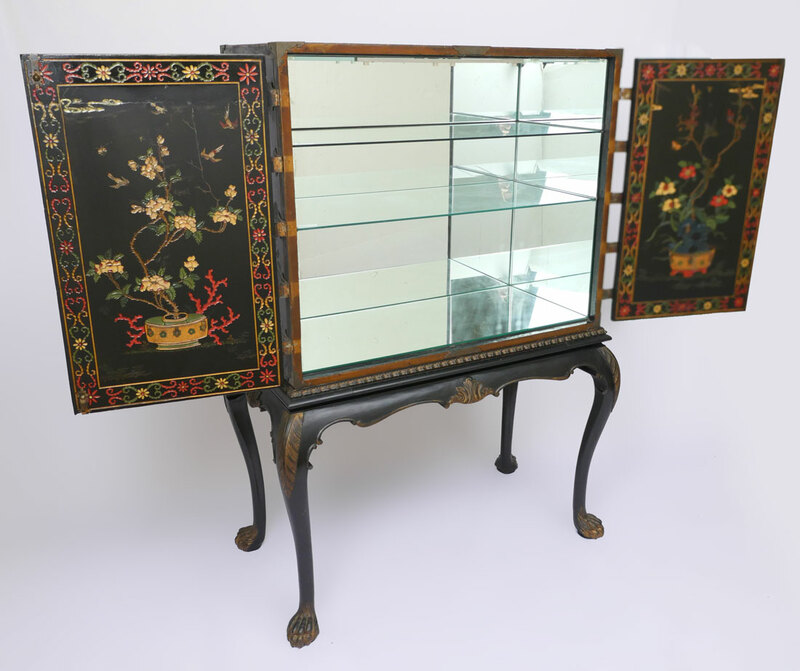 CHINOISERIE DECORATED LIQUOR CABINET ON STAND: Black lacquer ground with polychrome chinoiserie decorated with outdoor genre and floral moth scenes. 2 doors with brass mounts and hardware. 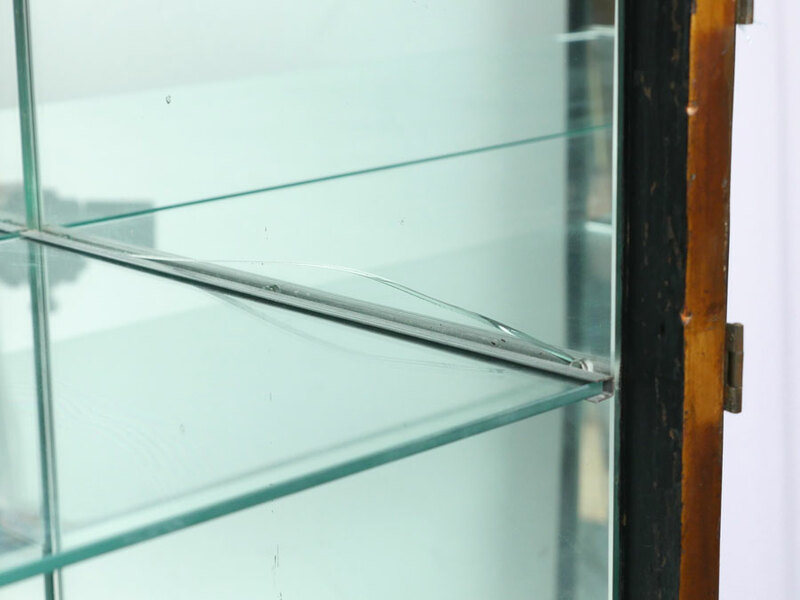 Mirrored interior with glass shelves. 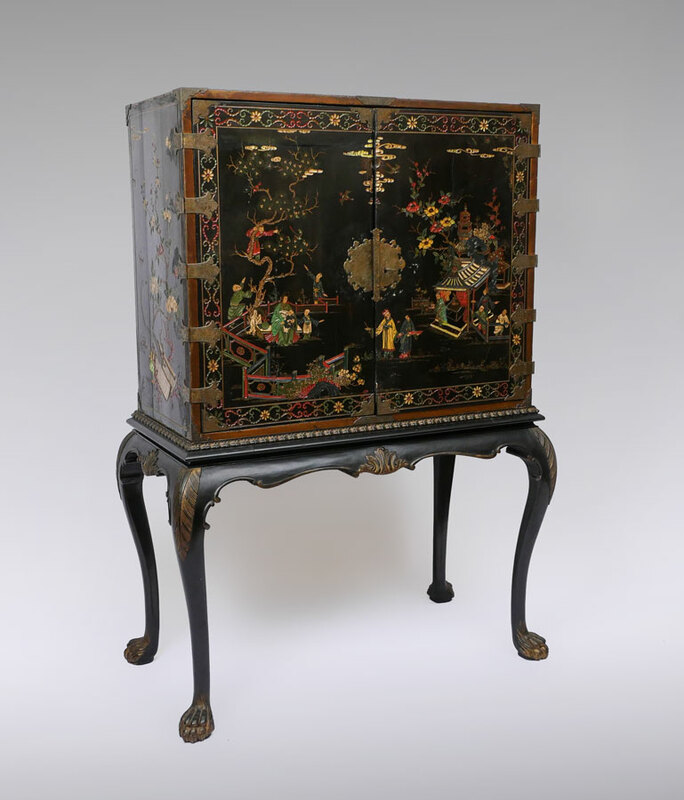 Chippendale style stand with shaped and carved skirt, shaped legs ending in paw feet.